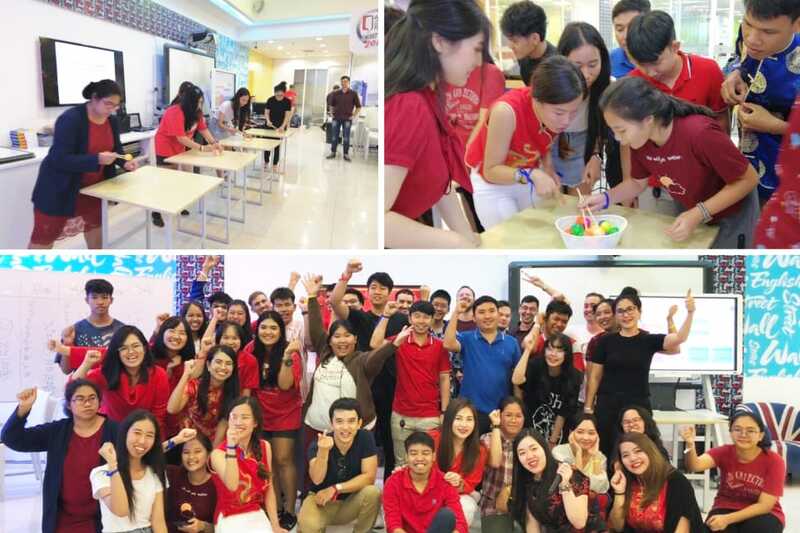 Contestants of WallStreet English Smart Gen 2019 must be 15-25 years old. 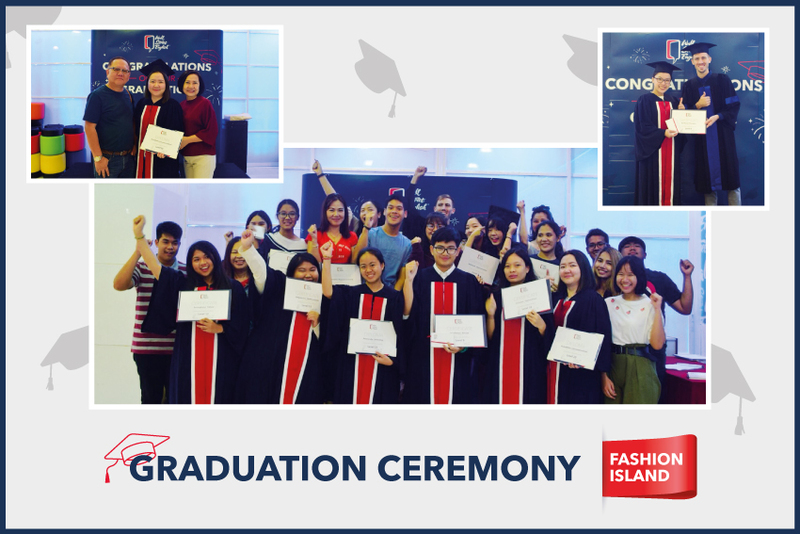 Contestants have to be able to communicate in English confidently and naturally. 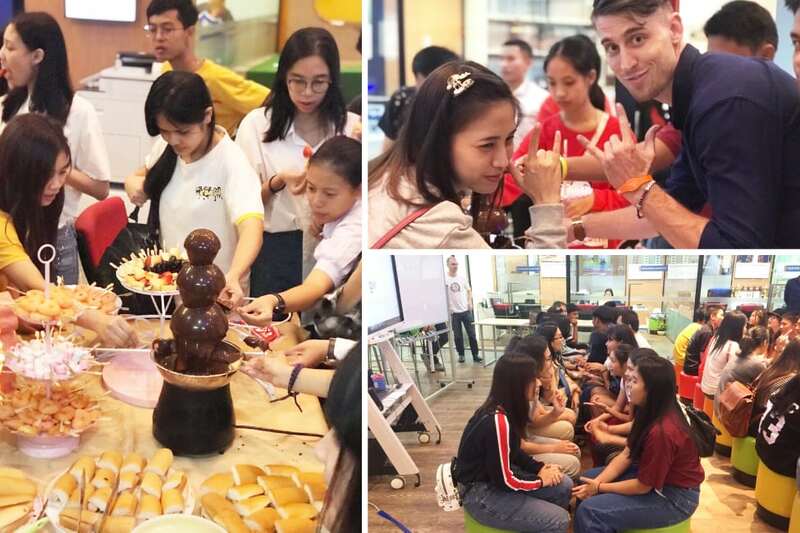 Even the contestants are not in Bangkok, all 20 finalists of Wall Street English Smart Gen 2019 must join the workshop provided by Wall Street English and GMM TV. Contestants allow Wall Street English and GMM TV to use their photos and videos on TV, advertisements and other media. In case the winner later found non-eligible, Wall Street English and GMM TV reserve the right to replace the winner with the first runner-up. Wall Street English and GMM TV reserve the right to change the programmed structure, rules, regulations, benefits and all other Terms & Conditions in whole or in part at any time with or without prior notice. And the decision by Wall Street English and GMM TV shall be absolute and final. Submit an introduction video clip and share us about “What’s your goal in 2019?” at wsesmartgen2019@gmail.com. The video clip has to be 2 minutes or less with total English speaking. 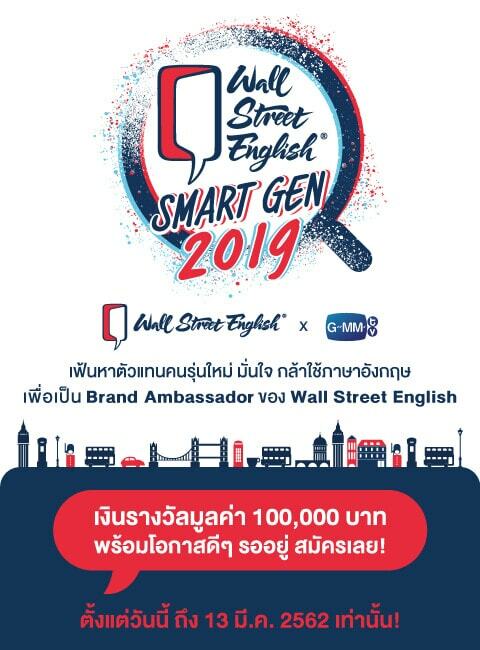 GMM TV will announce top 20 finalists of Wall Street English Smart Gen 2019 on Tuesday 19th March, 2019 via GMM TV Facebook. All 20 finalists must join an English Workshop on Saturday 23rd March 2019. 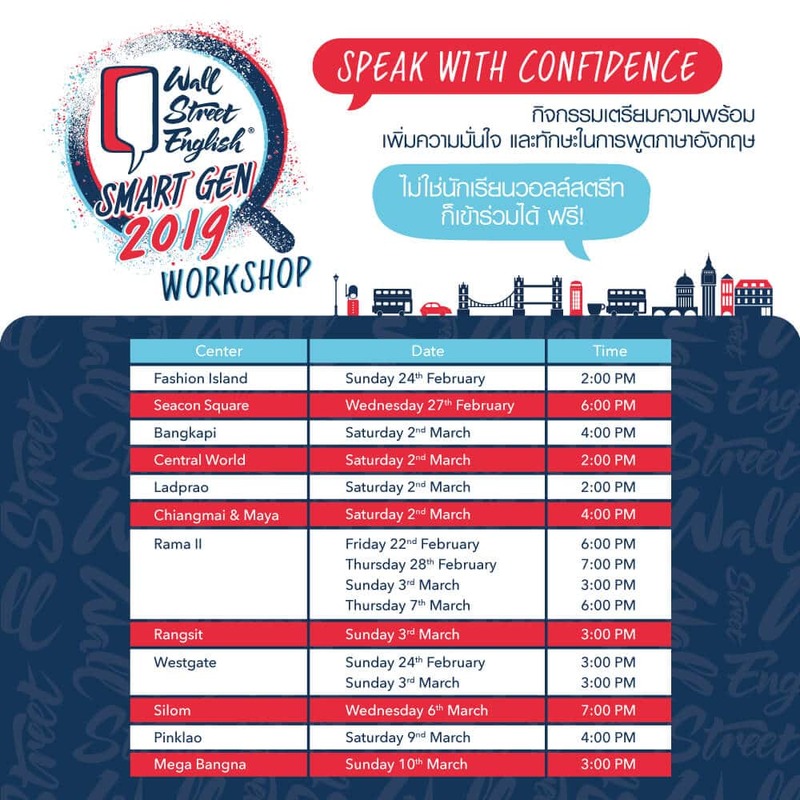 All 20 finalists of Wall Street English Smart Gen 2019 have to join the audition to be interviewed, show your talents and English skills in front of the judges on Saturday 30th March, 2019.